All of the charities participating in National Philanthropy Day Luncheon are encouraged to nominate their donors. Regardless of the size of your organization, National Philanthropy Day® is a great way to honour those who have made an impact through philanthropy. Not only does the luncheon present an excellent stewardship opportunity, it gives your organization a chance to thank key supporters for all they have done. All honourees will be celebrated at the event (details TBD). 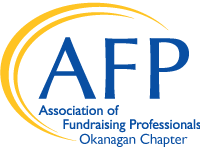 Organizations that purchase a full table or half table can also have their honourees’ contributions celebrated by sharing their stories in the event program. With the purchase of a full table (of 8), you organization will receive one full page in the program (5.5” x 8.5”), with a half table (of 4) will receive a half page in the program (5.5” x 3.5") to outline how your honourees’ contributions have helped your organization and why they are deserving of the honour.